This is the cheese I made inside of a used container from the store!! 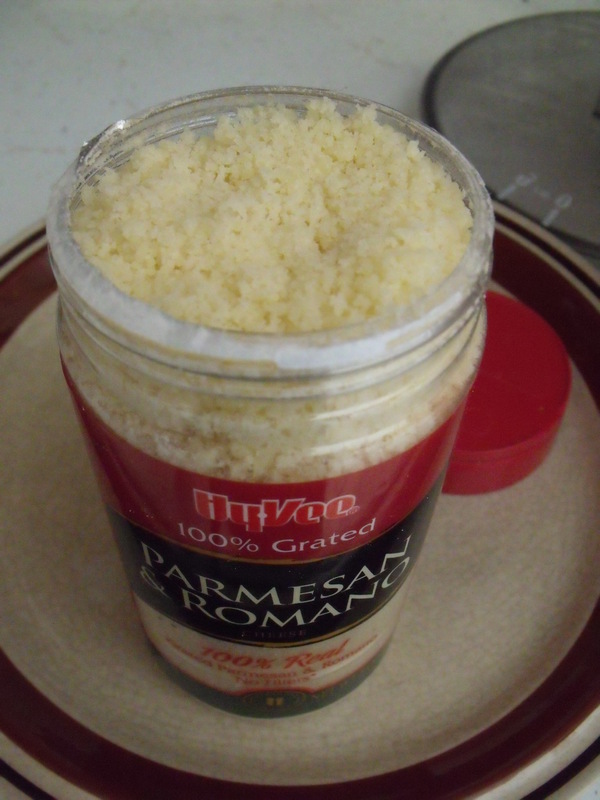 I accidently stumbled upon a very quick way to make Parmesan/Romano cheese at home. I’ve made five batches so far and they have all been extremely delicious. 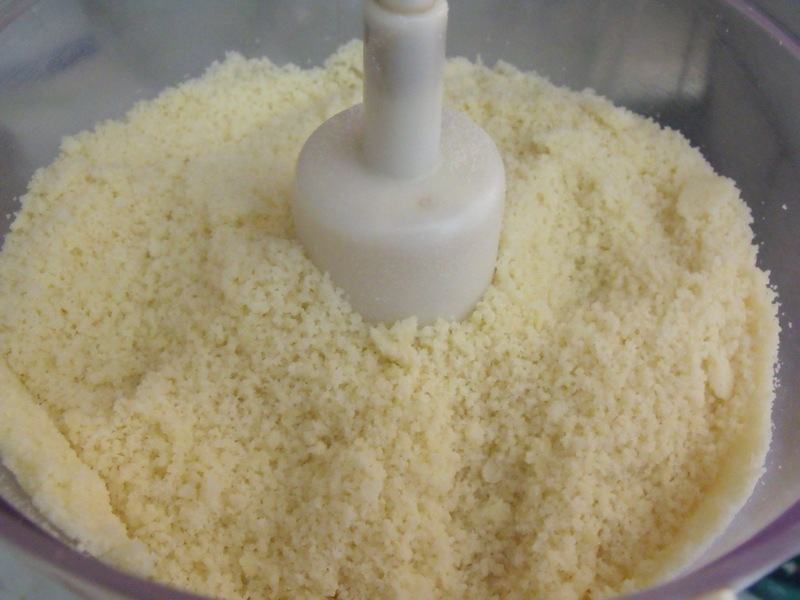 My parmesan shakes out harder than the town parmesan cheese does but that’s because there is cellulose in the town parmesan that keeps it from caking! Who needs that? 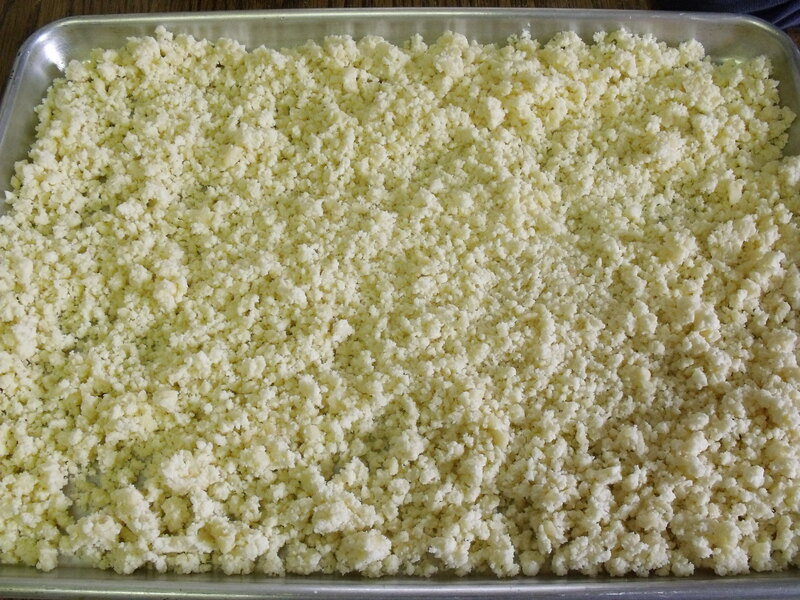 This is the cheese after it is ground up in the processor. Here is how to make parmesan for your home use. This is probably only of interest to my cheese making friends! In a nut shell………Warm 4 gallons of milk to 88 degrees. Put in a 1/4 teaspoon of Lipase culture. Let it sit for a couple of hours. Make sure it is still at 88 degrees. Warm if necessary. Next put in 1 teaspoon of rennet diluted in a cup of warm water. Let sit until a large curd has formed. 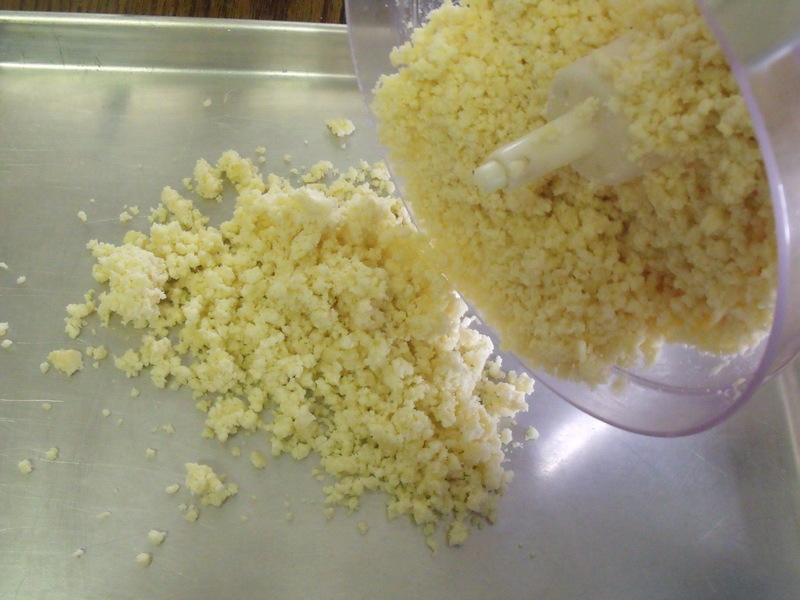 Cut the curds, let them rest, dump out half of the whey, then warm the curds stirring gently to 98 degrees. Let it settle for about a half hour. Strain into a stainless steel strainer and salt the heck out of it. I use the Himalayan Pink Sea Salt and it doesn’t look pink when it is done!! The ground cheese is poured on to a cookie tray to dry out for about a week. Turn the cheese a few times to make sure it is drying/draining. When it looks like it is dry, I just grind it in my food processor and then dry it on a tray for a week. This smells strong but is the right smell for cheese. It tastes like I shredded a real chunk of Parmesan or Romano cheese. Go ahead and experiment with what works for you. As long you are “clean” it should make a good cheese to sprinkle. This is how the cheese looks on the tray to be dried. You can lay paper towels on top lightly. When it smells perfect and looks dry throw it into a shaker. Save your old containers or use a glass one. It’s a good feeling making things that are healthy with no additives! Life is good by golly………. This entry was posted in FARM KITCHEN and tagged Callens honey farm, Home made Parmesan Cheese. Bookmark the permalink. Thanks for sharing Sandra! I’m gunna have to try this! This is a great recipe to have! Thanks for sharing! I’m looking forward to trying it!